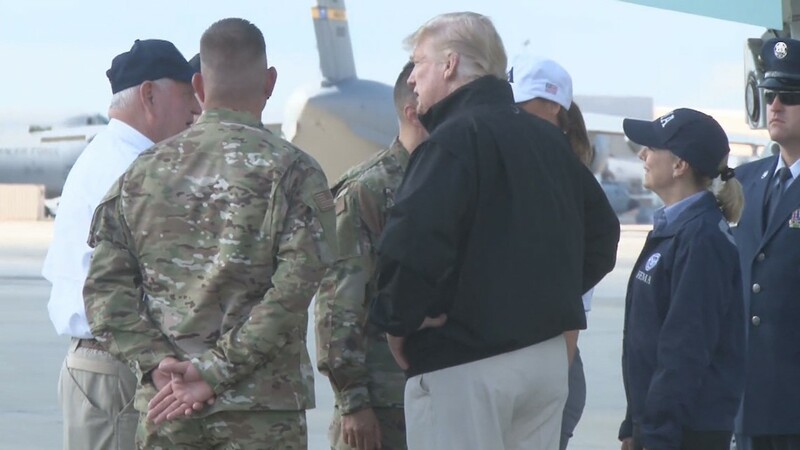 On Monday, President Donald Trump arrived at Robins Air Force Base before speaking with Red Cross volunteers and Georgia Farmers. 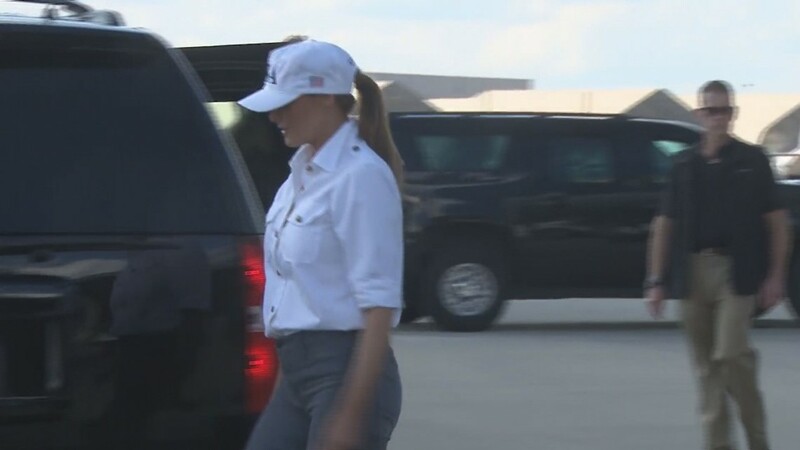 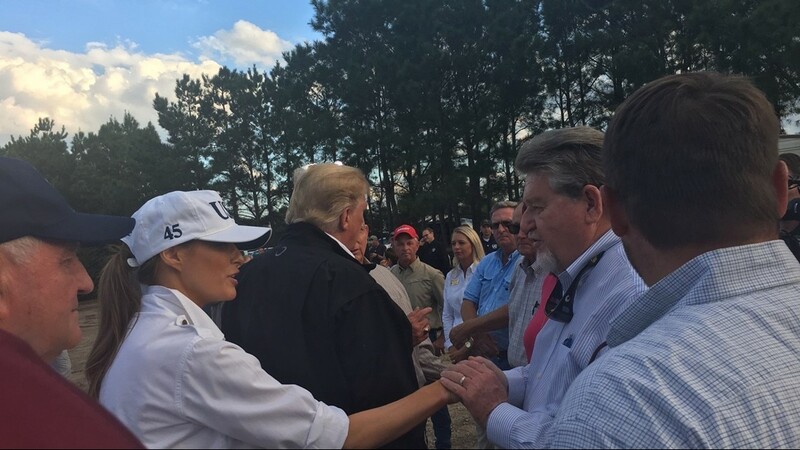 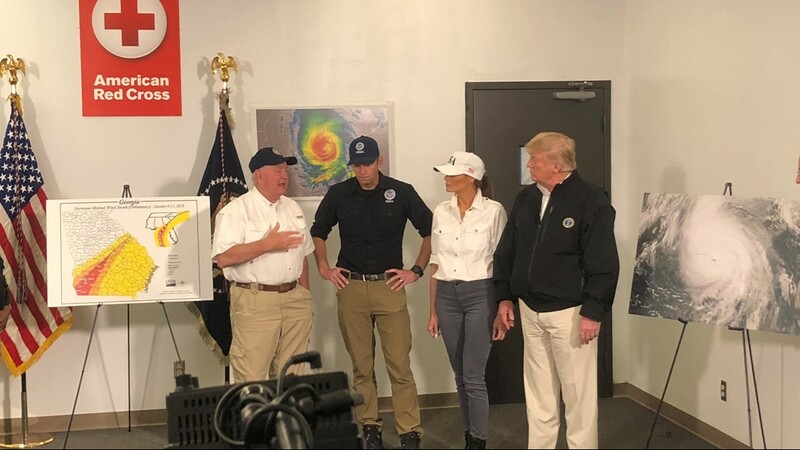 President Donald Trump and First Lady Melania made their way to Central Georgia Monday to take look at damage left behind after Hurricane Michael tore through the state last week. 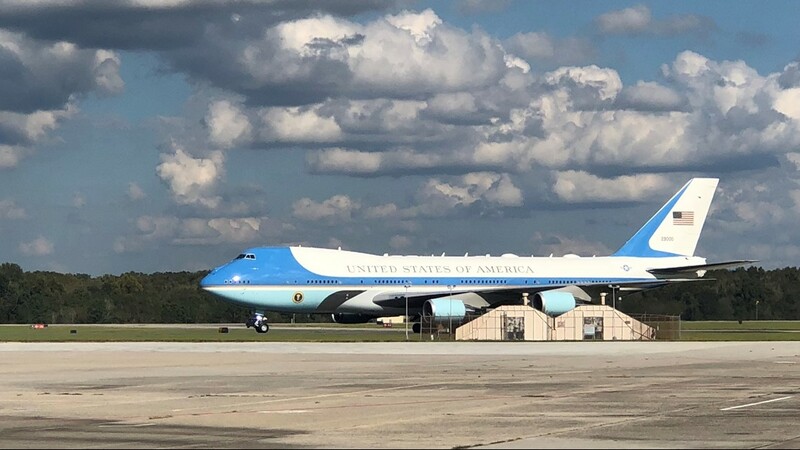 The arrived on Air Force One Monday afternoon at Robins Air Force Base. 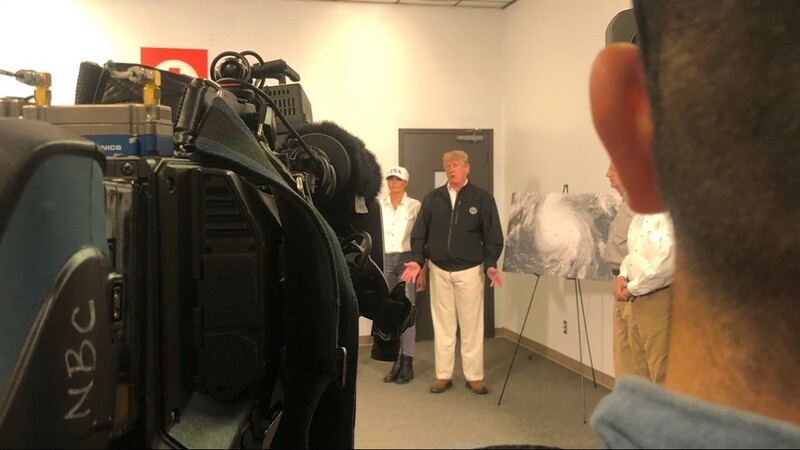 13WMAZ was the only television station in Georgia granted credentials to follow the presidential press pool. 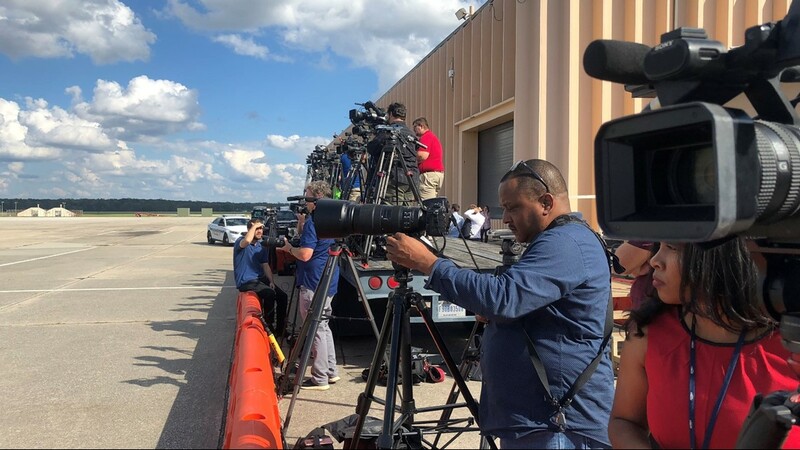 Chelsea Beimfohr and Sabrina Burse boarded the press vans and took off down Highway 247, all lanes blocked as the Presidential Motorcade passed by. 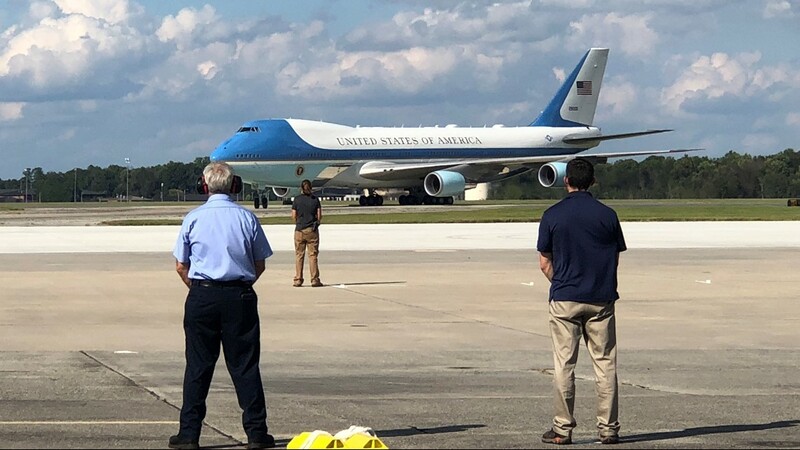 PHOTOS: President Trump surveys storm damage in Central Ga.
President Donald Trump and First Lady Melania Trump arrived at Robins AFB in Warner Robins, Georgia, on Monday to look at damage caused by Hurricane Michael last week. 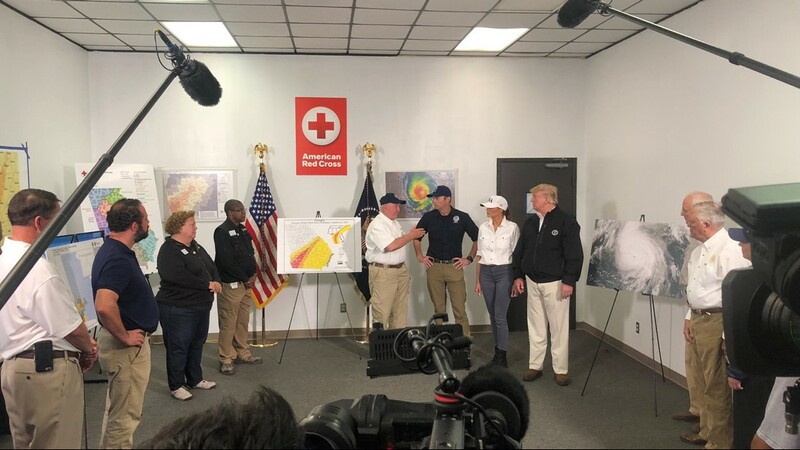 President Trump's first stop was at a Red Cross distribution center off Eisenhower Parkway. 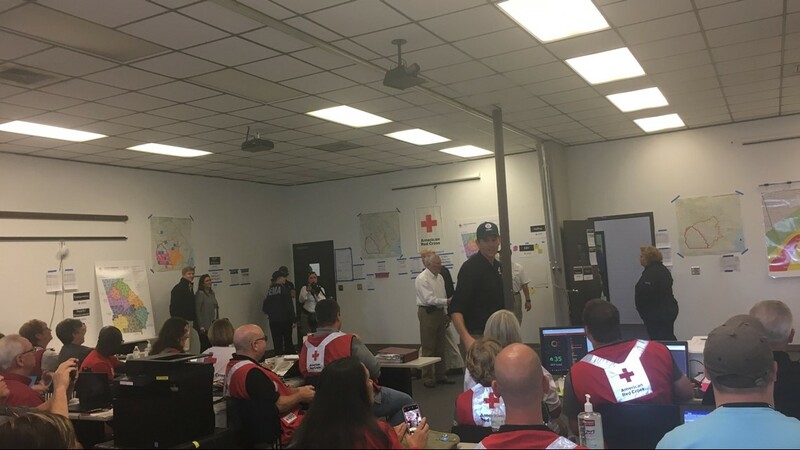 He addressed first responders and volunteers, thanking them for their relief efforts. 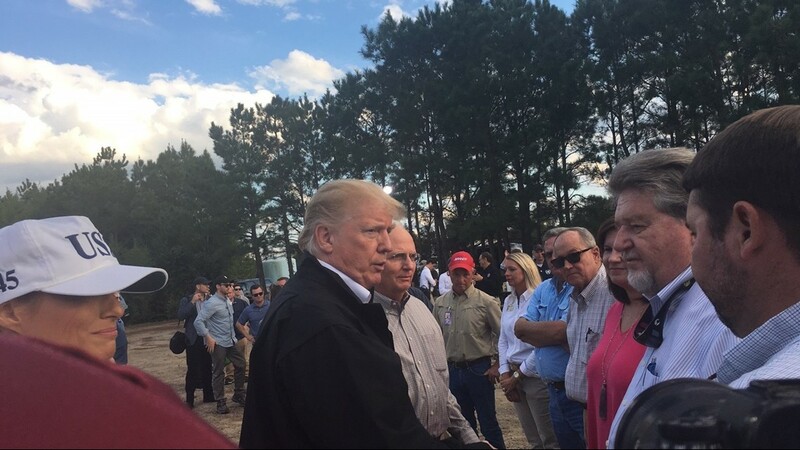 "In Florida, it was housing and other things, and over here in Georgia, the farmers, well, the crops were really uprooted and we're going to get it taken care of," says Trump. 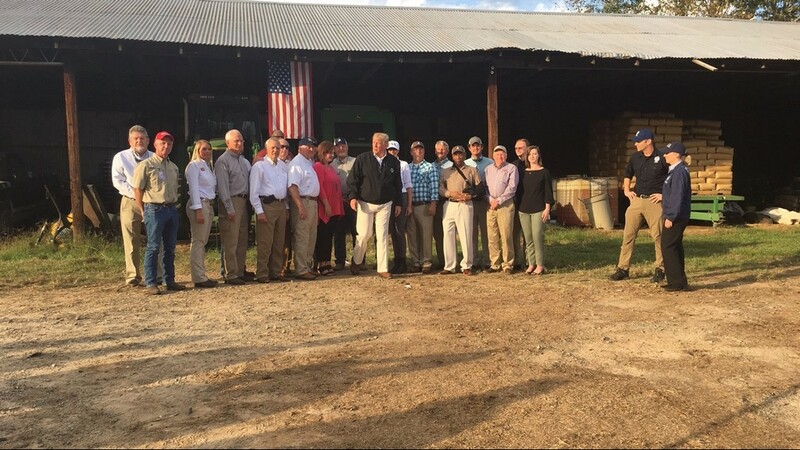 After the Red Cross visit, the motorcade headed south to a farm on the edge of Bibb County. 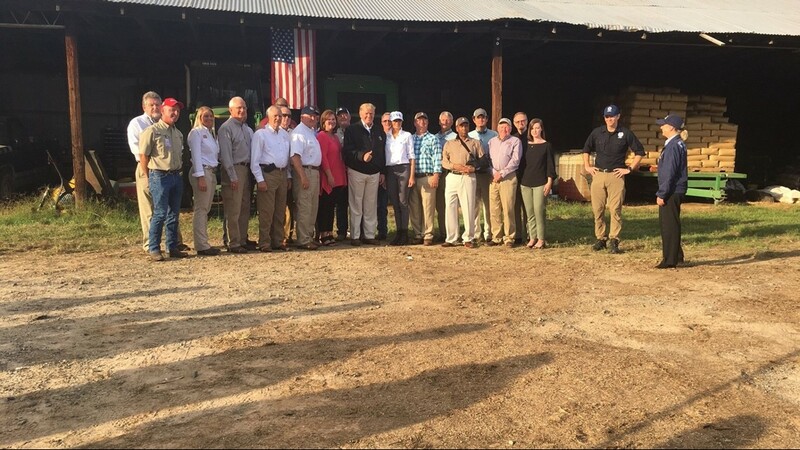 President Trump shook hands with local farmers, promising to help replenish crops and infrastructure. 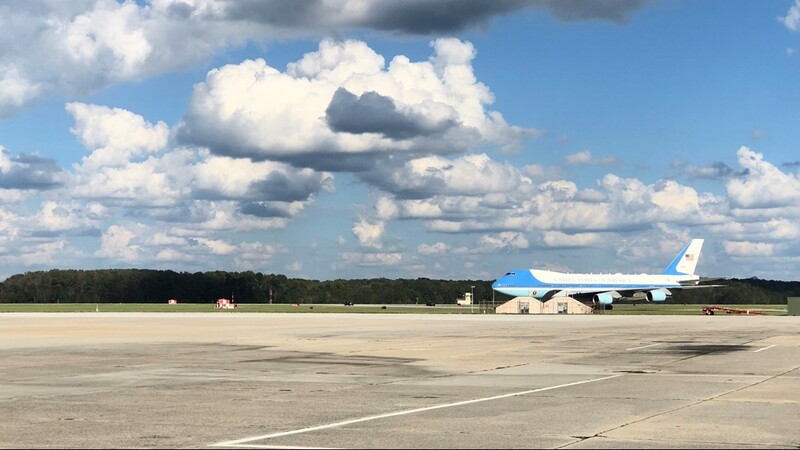 Then it was back to Robins Air Force Base. 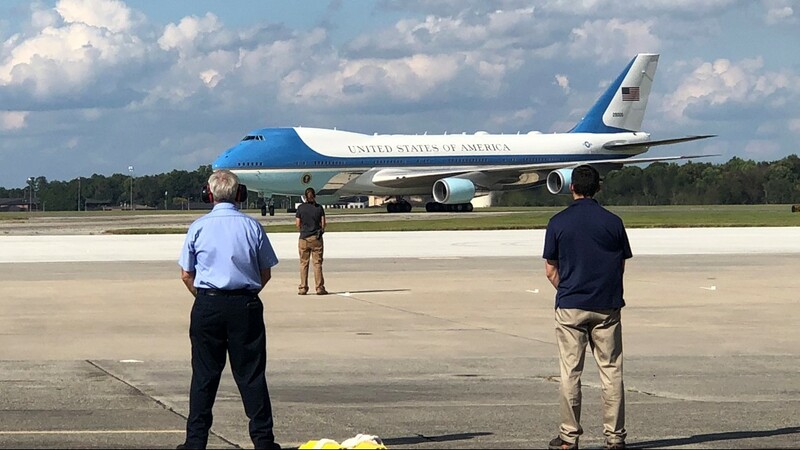 President Trump returned to Washington Monday night.